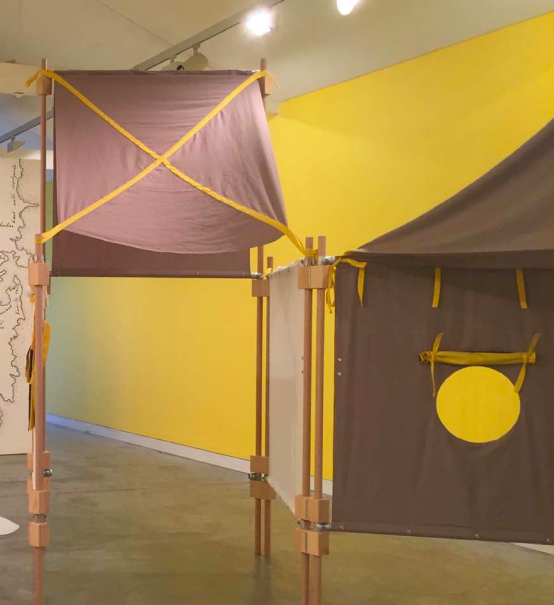 Project 28 and 27, exhibited at the Sherman Contemporary Art Foundation (SCAF) use the notion of promise to explore the housing situation many people face, specifically in Australia and, though this, globally. 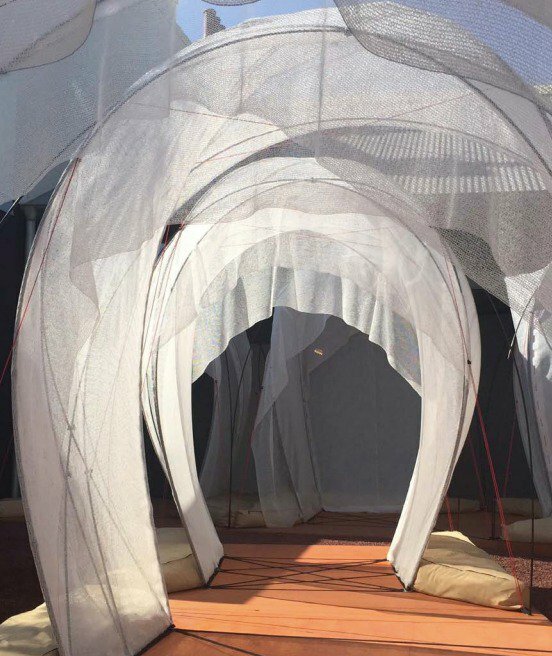 The artists investigate the temporary housing situation by creating temporary structures that appear to promise comfort and safety through the cosy atmosphere the structures create. This exhibition and the lack of support for people seeking safe refuge, made me feel like we all have a responsibility to help where we can. Every time the discussion of housing arises we hear the usual rhetoric of: what would we do about letting more people in the country, where would we put them; where would the jobs come from; who would pay for their education and health support? I think of it like this. If you heard someone outside your front door crying for help would you not help them and let them in to seek safety? Okay, so soon your house would be full of people but your house would grow. You would have more people to help you build a bigger house, more minds to outwit the very scary and very real problems happening outside our zones we were fortunately born into? The artists of Project 28, Hugo Motine and Heidi Axelsen, transcends this idea into their ‘Owner Occupy’ (2015). The structures can easily grow and are designed to be built upon, the cotton duck fabric walls and downe pipe fixings are easily reconfigured to create a unique space to the unique situation. As you walk into SCAF, Project 28 immediately greets you; the structures offer a return to a childlike state of mind. The walls are a sunny yellow, reminding me of a child’s habitat, the lights dimmed for a nap time just around the corner. The promise of being protected, in a protected space. I have to duck to walk into the structures, which are raised high above me, I feel engulfed in my own personal play den reminding me of being a infant. The structures are moveable but have been organised to snake round the gallery, turning in on each other but never shutting off an area. The walls are soft organic duck cotton in beiges, whites and black. Small circle windows are offered to view the outside yellow walls, with little stools placed by the window and you can enjoy your view out of your nest egg. After walking out of the den, I’m faced with a map: “Terra Nullius Ad Infinitum” here this colonial map of Sydney is remembering the offer of the biggest rehousing promise made. The second space occupied with Fugitive Structures at SCAF, is the zen garden. Perfectly matched up Sway (2015), the eerie, temporary structures are literally allowed to sway out in the natural environment. The tent like structures “will weather and transform” throughout the exhibition. Sam Spurr shares that this reflexibility reflects the sukkah which offered hospitality to the Jews from the Old Testament as they escaped slavery to freedom in the Promised Land, which directly influences the team behind Sway. The architectural collective based in Tel Aviv, consisting of Matanya Sack, Uri Reicher, Liat Muller, and Eyal Zur, offer this open, dream like temporary housing structure and with it the promise of refuge for those who need it. Dr Gene Sherman has recognised “the human need for shelter is an ever increasingly a problem both locally and globally.” In commissioning these projects she accepts this responsibility, using art that has a mission to inform and highlight our own personal promise to the rest of humanity.